I’m totally kicking myself for not getting to know MAC All That Glitters eyeshadow ($14.50) sooner. It’s been a member of the MAC permanent posse for years but just moseyed into my life last week. Ladies, this powder shadow is the BOMB DOT COM! Like a purse that goes with everything, it’s super flexible. I’ve been trying to stump it for a week, wearing it with other products in brown, beige, peach, taupe, bronze, pink and gold, but I have yet to find a color All That Glitters doesn’t like. Even though it’s not afraid of complicated eye looks with lots of steps and colors, it still looks great on its own. For a fast and fresh work-friendly look, I’ve been using it as a wash on the lid with a wee bit of black eyeliner (see it in action here). All That Glitters applies easily, too (easy like Sunday morning), with a smooth texture that blends like a charm. It melts into other colors almost like it was made to mingle, and the energy it saves has been super handy since I haven’t been getting enough sleep. Have you met All That Glitters? Damn Karen you are reading my mind!! 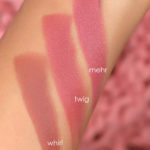 Just yesterday I was searching all over the net to find a swatch of this! Will definitely get it, I’m sure I’ll adore it just as I adore Patina! Not having MAC around it’s always difficult to choose from all that make up, so when I finally get to order, or go in a country where they have it i always give up or buy something that’s just ok, but not amazing! Hey Karen! This eyeshadow is my all time favorite from MAC because of the versatility! 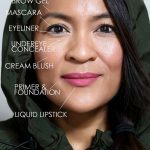 My current favorite look is to wear this as a wash over my whole lid, with Chanel Ombre Essentiel Eyeshadow in Tigre on the outer third of my eye and into my crease, with MAC Cork eyeshadow to darken my crease and my lashline up a bit. It’s the PERFECT gentle, subtle smokey eye look for daytime, paired with MAC Big Baby lipgloss.. hot hot hot! Ooh, ooh, ooh! I have all those colors… can’t wait to try this look (maybe tonight!). Hope you had a nice Friday! What are your plans for the weekend? I get to have a super relaxing weekend! I’m done exams and get to sleep in, plus I have a friend’s birthday this weekend. No work and all fun! I’m quite excited 🙂 What are you up to this weekend? That sounds like fun. 🙂 Congrats on finishing your exams, btw! How do you think you did? Tomorrow I’m going to this seminar called WordCamp. It’s basically boot camp for WordPress bloggers. 🙂 On Sunday I’ll probably just putter around the house… totally boring, I know, but I need to just veg! Pretty, maybe that will be my next Back-to-MAC freebie! I just ordered Nymphette! I’m psyched. I also ordered Dior’s Crush Glow. I went to the counter at Macy’s (gift cards to burn) and the girl was like, “I don’t know what you’re talking about.” I know it’s Friday afternoon, but seriously? .-= Amber’s last blog post… Surrounded by love =-. SERIOUSLY? Maybe homegirl just needed some coffee or something. So, I’m stoked that you’re going to get Nymphette. I will not be happy until we start a worldwide Nymphette revolution! Okay, I just realized how funny that looks like in print. .-= Catherine’s last blog post… Lunch with TralalaLisa â™¥ =-. Funnily, this week I wanted to pick this one up! I didn’t in the end, since Liberty of London should be launching this month here, I wanted to save up a bit. But it’s sooo pretty and versatile, I agree! 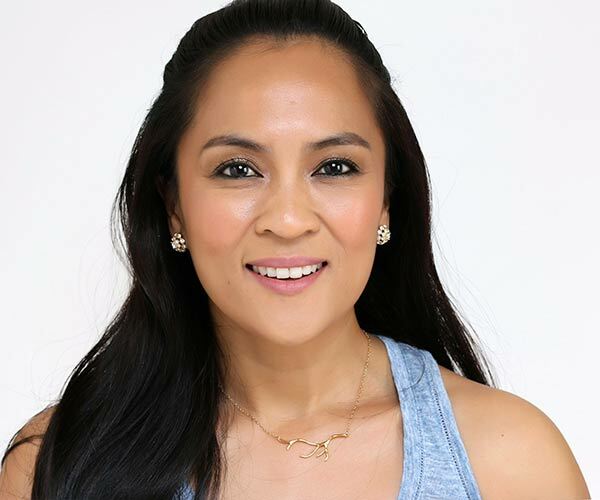 .-= Marce’s last blog post… Review: Daddy Longlegs Lashes with Lancome Definicils =-. 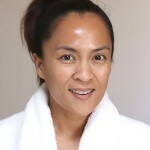 .-= Vonvon’s last blog post… Photos: My Estee Lauder Makeover From The Estee Lauder Model Search 2010 =-. 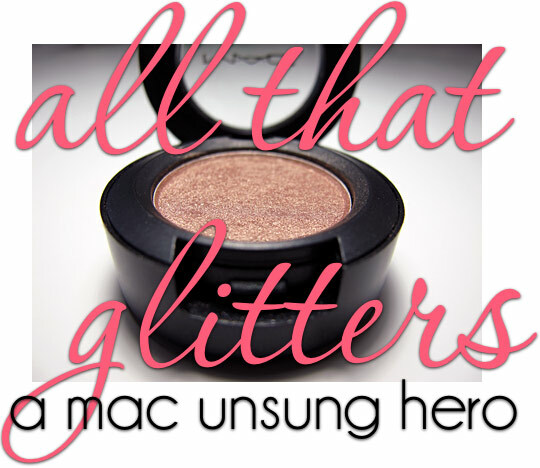 All That Glitters is one of my all time favorite MAC shadows! You are so right, it’s extremely versatile and goes on like a dream! This looks fabulous on your tan skin! .-= Polish Earthgirl’s last blog post… Friendly Request 🙂 =-. Hi Karen! This is my 1st time commenting on ur blog, though I’ve been reading dilligently for a few months now. I love ur articles! I love this shadow too! I wear it with haux in the crease and then a bronze eyeliner just about everday! It’s so gorgeous and flattering–my eyes are hazel but it makes them look so green! LOVE All That Glitters! I like it on the lid with Bronze in the crease and Beauty Marked in the outer corner. My fave MAC lipgloss right now is Ember Glow. I think I must check Nymphette out now! 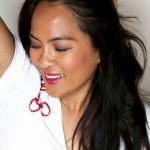 .-= Tracy’s last blog post… My First Chanel Lipstick! =-. Interesting color. Sorta looks like Naked Lunch does on my pale skin and that is my go-to color these days. Would love a satin version. There are days I’m just not feeling the frost. Hi Karen, would this shade be similiar to Stila Kitten? I bought kitten after hearing all the hype but I’m so not impressed with it. I love the idea of the color but the fact that I end up with glitter all over my face does not work for me. I have this shadow – a friend gave it to me. However, I go back and forth on whether I like it or not. Sometimes I like it, but sometimes it seems to pull orange on me (not so much now that I have stopped wearing eye shadow primer). I’ll have to try it with one of the taupe colors you mentioned above. I’ve been really interested in this shade because it seemed to remind me of Urban Decay’s “Sellout” shadow which is one of my favorite eyeshadows. I think All That Glitters is a tad darker but it should work the same. Have you had any experience with Sellout? I’m a former mac artist and this is everyone’s fav eyeshadow at work! we use it with everything! looks so pretty for bridal makeup and the combos are endless! also looks AMAZING with club and motif. this is my go to shadow for every day pretty! 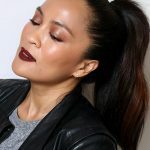 Ever since you did that smokey eye with smog and all that glitters – i’ve been doing that look the rest of the week just altering the lid color but i’ve used all that glitters as my highlighter. I love it – it’s one of those colors that I had for so long that I sadly neglected it. Thanks for re-introducing me to an old friend. I need to come to you before I buy new shadows because I keep thinking I need more. Yes, I’m pretty sure I’ve got a lot of hidden gems I need to revisit. Like that Chanel single shadow in bamboo in the bottom of my makeup case that’s just dying to come up to bat! PS – I tried Sumptous Olive on the lid/lined with UD Stash – thurs and today I used Satin Taupe – lined with graphblack tecknakohl – ATG used as highlighter for both those looks. It’s like magic! I think that this is part of my stash. hhmmm I gotta check to see if I do have it. 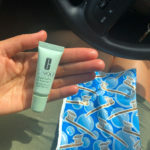 .-= marisol’s last blog post… Products I am Loving =-. That’s one of my fave ways to wear it ’cause it’s quick and easy. All that Glitters was my first MAC eyeshadow :). I like it with Mulch. I’ll give that combo a go. Thanks, Amy! 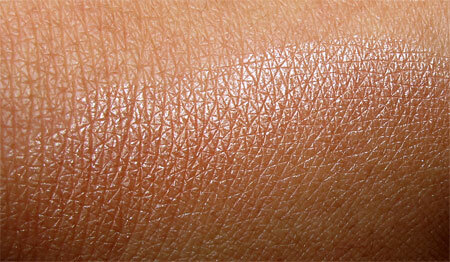 .-= Pinch’s last blog post… NARS Habanera =-. I’ll be adding this to my Perm Wish List! LOL. That list is getting kinda long. But I hear we won’t have any collections in June, so I’ll be hitting up the permanent items! 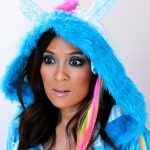 .-= Erin’s last blog post… Non-Polish: tokidoki at Sephora!!! =-. 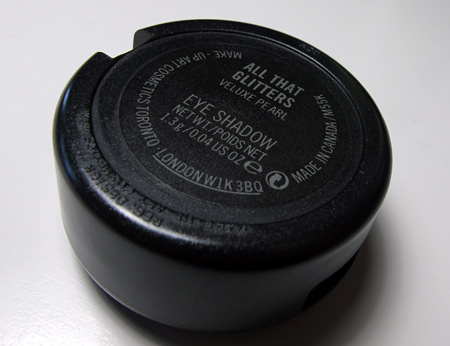 I still remember my very first shadows from MAC… they were Print and Brule. They’re so old that they have the old school screw-on caps, yikes! What colors are you thinking of getting next? Here are a few to consider: Soft Brown, Sable, Club, Satin Taupe, Woodwinked, Mulch and Soba. Most of these are neutrals, but you’ll be able to wear ’em with everything. I seriously can’t believe that I didn’t pick this up years ago. I love this color! i love all the glitters =) i have nyx champage also.. and theyre almost exactly the same! YAY!. This is totally my favorite MAC eyeshadow. I think it’s the only one I’ll probably ever hit pan on. It really does work with pretty much every color even brighter ones. I like to even use it as a subtle inner corner highlight. I LOVE IT! .-= Stephie’s last blog post… You need this: MAC Studio Finish Concealer =-. oh maaaan, i have a huge SOFT SPOT for all that glitters! it was my first MAC eyeshadow, and i still use it whenever i can! i just love it, SO MUCH. definitely my go-to eyeshadow. i love how it’s so versatile, and just so simple at the same time. usually, i just wear it on my lid and have either MAC technakohl in uniform or UD 24/7 in bourbon as my liner… and then i’m off! “The BOMB DOT COM” – lol!!!! I love this series. It helps so much to see the recommendations you add to it. Thank you!!! Thanks, I too am just starting my MAC eyeshadow collection. What colours would you recommend for dark brown hair, brown eyes and a fair complexion? 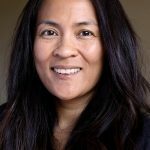 Thanks, love your blog-I’ve learned so much! I bought this eyeshadow after reading your article and really love it. I was a little worried that it would be too ‘glittery’ but it is not. 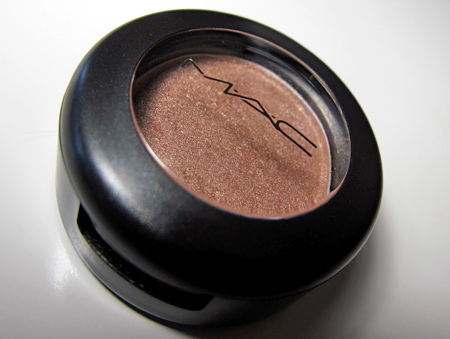 I have never bought a veluxe pearl eyeshadow from MAC, I usually stick to the satin ones. This shadow goes on so creamy and lovely and I found that it lasted all day at work without creasing which really surprised me! I usually crease somewhat- even with paint pot as a primer. The color is so pretty!!! I swapped my Arena shadow for All That Glitters and am much happier with it. Thanks for you wonderful posts and keep them coming. All hail ALL THAT GLITTERS..
My fav is a graduated look incorporating naked lunch, all that glitters, woodwinked then antiqued, I highlight my brow with naked pigment, swipe my 224 over everything a couple times and VIOLA!! The perfect day to night look, for the evening I simply use my 219 to add some black tied or carbon to the outer corner “V” and blend to the crease line my waterline and off I go! In the inner corner 1/4 of the lid naked lunch blend up toward the inner brow bone, next 1/4 swipe all that glitters and up towards the brow bone, next 1/4 swipe woodwinked and up toward the brow bone, the last 1/4 swipe the antiqued ( or other shade suggested) and you can shape this how you like to accentuate your eye, for these colors I use the 217, then I grab my 242 and naked pigment for my browbone, then grab my 224 and give it 3-4 “window washer” swipes to ensure there are no harsh lines. On the lowers I bring the naked lunch about 1/2 way across then finish with my end color, in my case antiqued. I swear this looks like these colors appear seamless and it honestly takes just a few mins for both eyes!! You posted this a long time ago, but I wanted to chime in. you grouped your recommendations into colour families! This is helpful and I’ve bookmarked this page.